Front-loading letter-slot deposit.Fitted with a high quality key lock supplied with 2 keys. Suitable for wall mounting with pre-drilled holes and fixings supplied. 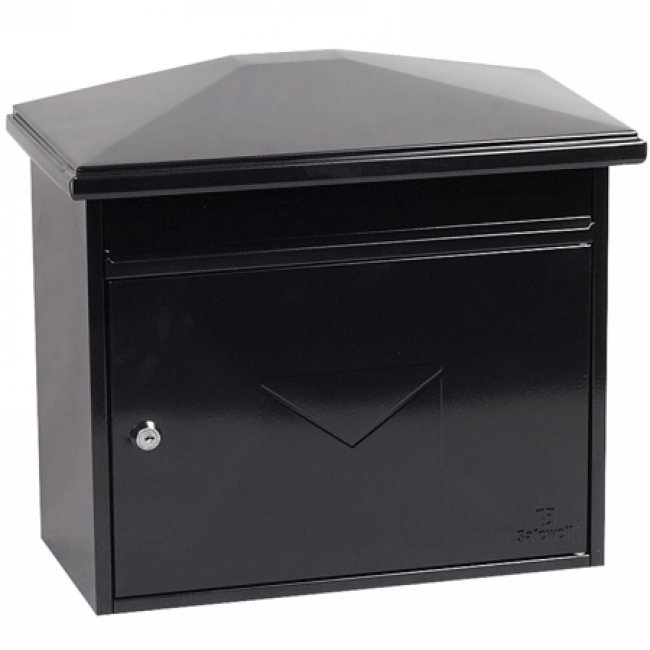 A heavy duty construction allows a lengthier product lifespan when compared to other thinner-walled mail boxes. A zinc galvanised coating prevents oxidisation of the mail box and gives it a corrosion resistant, weather-proof and rust proof finish. Available in either a Black or White powder coated finish.